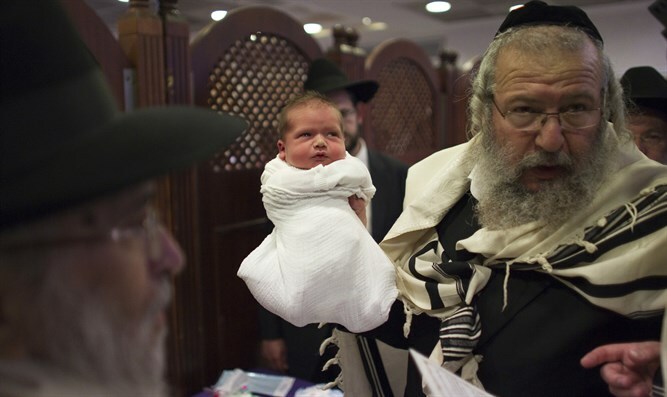 MainAll NewsJewish WorldCan just anyone perform circumcision? Can just anyone perform circumcision? Chairman of Interior Committee wonders why no legal obligation on mohels in Israel to be certified, demands regulation. The Knesset's Interior Committee held a discussion on the subject of the authorization and supervision of ritual circumcision technicians (mohel; mohalim pl.) in Israel. Committee Chairman MK Dudi Amsalem (Likud) asked Chief Rabbinate Director General Moshe Dagan, "Are the procedures formulated by the Chief Rabbinate for authorization and supervision of mohalim binding procedures or recommendations?" Dagan replied, "The procedure obligates the authorized mohalim. Out of about 700 mohalim active in Israel, 400 are certified. There is no legal obligation to be authorized. We want to present the public with an explanation, so it will be clear what the difference is between a certified and non-certified mohel." Amsalem went further and claimed that most of the public does not even know that there is authorization for mohalim. "People are given a recommendation from a friend," he says, "but no one checks out a mohel in depth. Circumcision is a type of operation. If necessary, legislation must be enacted that requires a mohel to be certified." "The complications of circumcision are minimal. Of the 65,000 britot a year, 60 cases come to hospitals, of which perhaps one or two are critical and the rest is parental hysteria. The inter-ministerial committee examines each case. In one case that came to court, it was a doctor who performed the circumcision. Doctors are not so skilled in britot." MK Elazar Stern (Yesh Atid) said sarcastically, "I am in favor of no legislation in any religious field. What about kashrut?" MK Rachel Azariah added, "How we toivel interests you - and you check every detail. If religious commandments are not a matter for the state, dismantle the kashrut monopoly and get out of the mikvah." Dagan replied, "This is demagoguery, you take things out of context." MK Amsalem intervened and said that the matter should be settled: "We are talking about a mitzvah. If we want the mohalim to be trained, and not everyone who feels like it may distribute business cards to novice parents. We have to settle the matter and not voluntarily. Why does the rabbinate think it is not in the public interest to see to it that someone follows this? Let him check whether the mohel is healthy. Regarding kashrut and slaughter, one who is careful knows where to go and what kashrut to look for, but circumcision everyone does, even non-religious people. One mistake that gets publicized deters people." MK Yisrael Eichler (UTJ) argued that "this is an anti-religious coercion. Let hospitals not allow business cards to be distributed by someone who is not qualified, but anyone who wants to circumcise his son with an unqualified mohel can not be stopped. This is a decree that we would not agree with anywhere else in the world." The chairman of the committee announced at the end of the discussion, "A working meeting was held with the chief rabbis in order to arrange not voluntary certification and supervision, but rather obligatory. As part of the regulation, they will seek a solution for circles that have their own internal control, and will find a way that they will also receive accreditation. It will not hurt the expert mohalim to receive a certificate. After we try to arrive at understandings, the committee will hold another discussion with a view to regulating the matter."